In 1901 Cissie, 8, was living with her father Walter Bemrose, 40, general labourer, mother Elizabeth 40, three brothers: Harry, 17, engine cleaner, William, 15, Tommy, 2 and three sisters: Hannah, 11, Ethel, 5 and May, 4. 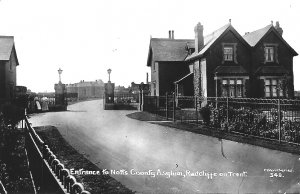 They lived in Royal Oak Yard, Radcliffe. By 1911 Cissy, 18, was a draper’s assistant, living with father Walter, the parish sexton, mother Elizabeth, sisters Ethel, 16, a lace finisher, May, 14, a cigar maker and brother Tommy, 2. The family were living in a 5 roomed house on Richmond Terrace, Radcliffe. 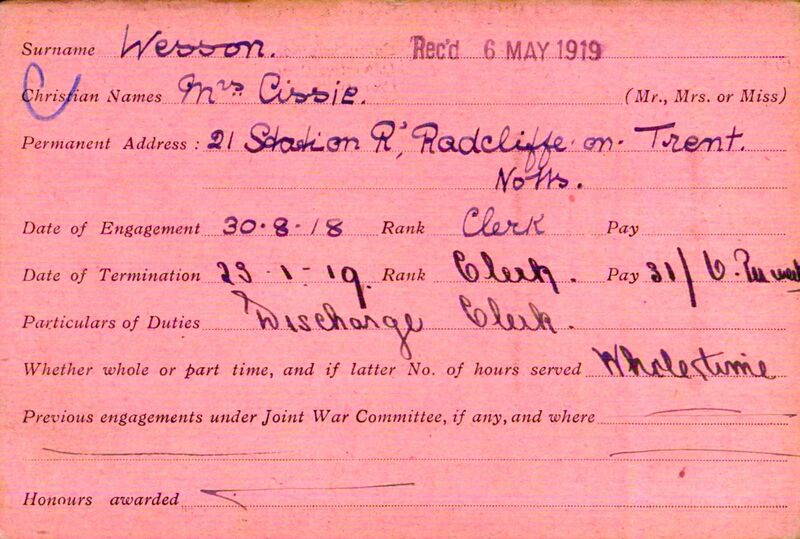 Cissie married Horace George Wesson, timekeeper, on 11th July 1914 at St Mary’s church, Radcliffe. Both Cissie and Horace’s address was given as 2 Richmond Terrace, Radcliffe. Their son Douglas was born in 1914. The following information about Cissie Wesson has been extracted from transcribed Red Cross V.A.D. records, available at www.redcross.org.uk. Cissie volunteered as a Red Cross V.A.D. 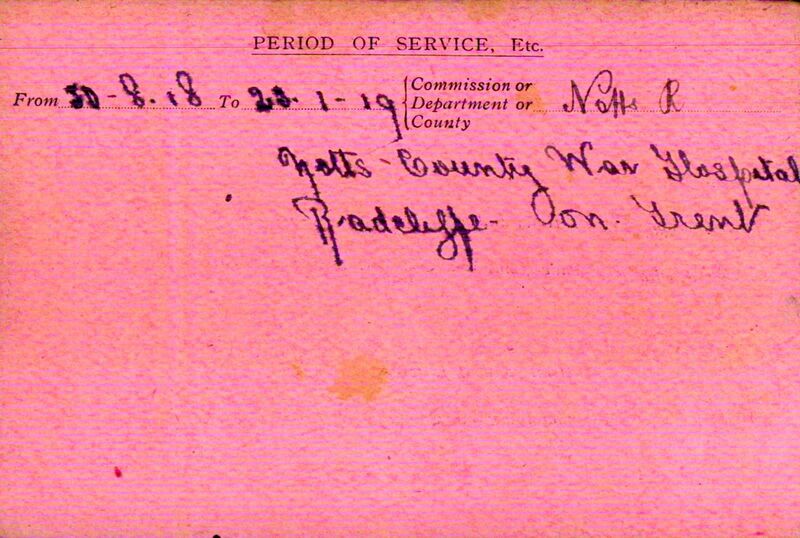 member on 30th August 1918 and served as a discharge clerk at the Notts County War Hospital, Saxondale until 23rd January 1919. She worked full time and was paid 31 shillings and 6 pence per week. Cissie’s husband Horace served with the Sherwood Foresters and the Royal Irish Rifles during the war. Her brother William Bemrose enlisted in the Royal Field Artillery in 1905 and continued to serve with the Royal Field Artillery throughout the war. Younger brother Tom also served with the Royal Field Artillery during the war. (see Roll of Honour and their respective biographies). The Wesson family moved to one of the new council houses on Shelford Road, Radcliffe on Trent in 1921. They lived at 2 Park Road, (on the corner of Shelford Road and Park Road). Their address recorded in the 1939 Register was No. 13 Council Houses, Shelford Road. Horace was working as a dispatch clerk, stationary and arts goods, Douglas Wesson was a clerk in an engineering machine shop and also living with them was Thomas Summerfield, born 1930 and at school. Cissie died in 1956 and Horace died in 1960. 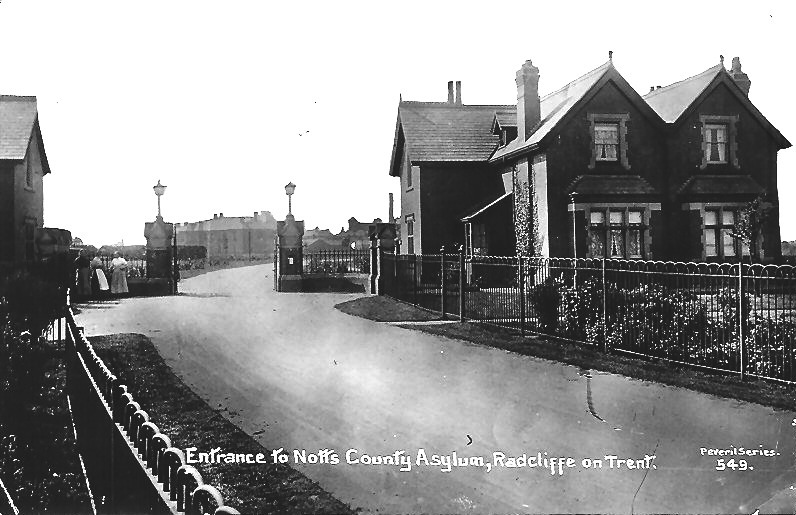 Notts County Asylum opened on 29th July 1902 at Saxondale near Radcliffe, providing accommodation for 452 patients. In 1913 the main block was extended allowing for a further 148 patients. In July 1918 the Asylum became Notts County War Hospital. As the war progressed there was a growing acknowledgement that specialised provision was needed for servicemen suffering from mental or nervous breakdown. Accordingly, a number of asylums were converted into War mental hospitals, Notts County Asylum being one of them. 540 beds were provided for military patients. The War Hospital closed in August 1919 and was re-converted to an asylum for civilian patients.